← My New Year’s Resolution is to Get in Shape, Girl! 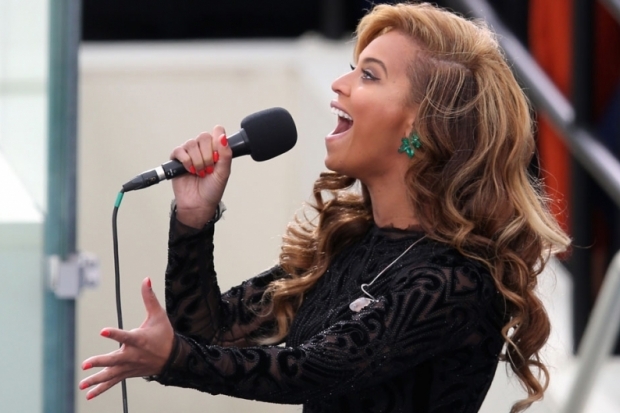 Did Beyonce Lip Sync the National Anthem? I Blame it on the Rain. President Obama was inaugurated into his second term as President of the USA on Monday and Beyonce sang the national anthem . . . or did she? I don’t hear noise coming out from her mouth. Do you? Ugh, do I care? Confesh: Sort of. There is just something so holier than thou, so “I only exist for you to watch my every move but yet I won’t even admit that Jay-Z is my husband” that is soooooo annoying about Be. And I’m sorry, I still don’t think she gave birth to Blue Ivy. And I’m not even a conspiracy theorist! I imagine this scandal will not ruin the career of Queen Be the way that it did Milli Vanilli and that amazing talent Ashlee (two Es!) Simpson. Hee haw!